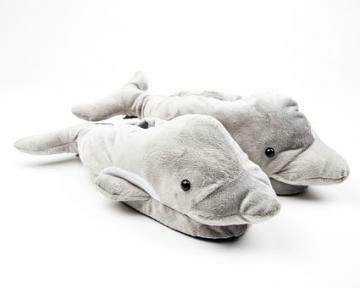 Swim into comfort with these cozy dolphin animal slippers. 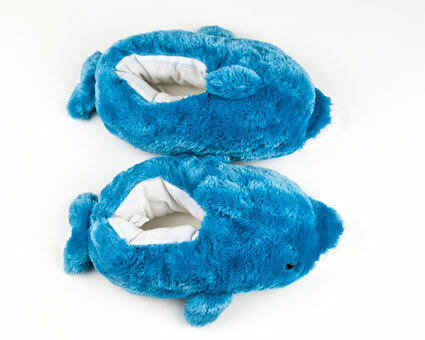 Rendered in a shocking shade of electric blue, the blue dolphin animal slippers provide full coverage, thick, plushy soles and come detailed with fins and flippers. So cute very happy with them.very fast delivery. Awesome! 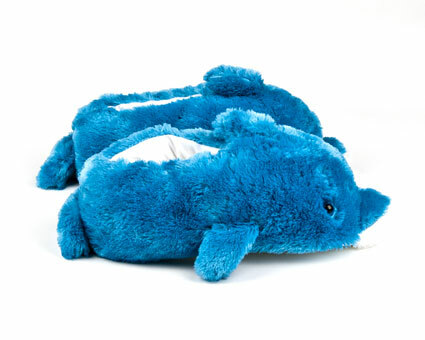 I bought these awesome dolphin slippers for a friend who is a dolphin lover and she is absolutely crazy about them. She loves them so much. Now all we need are Tweety Bird slippers for ME. 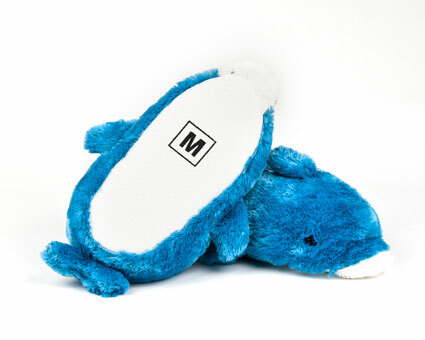 Please get them. He Loves Them! 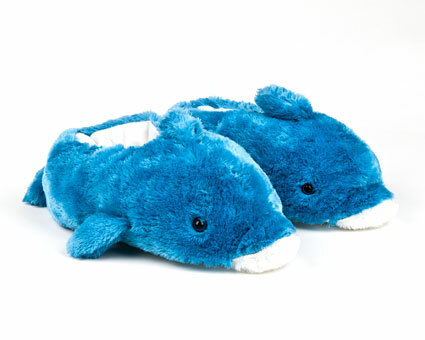 He wanted shark slippers until he saw the dolphin ones. He loves them, especially how soft and fluffy they are. Great purchase!